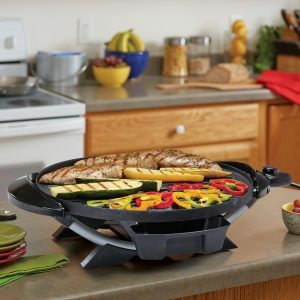 If you love to cook, if you love hosting friends and family for parties and get-togethers then the George Foreman Outdoor Grill is the answer to your quest for the perfect grill appliance to serve your guests and family with healthy, fat free and perfectly grilled food that does not compromise on taste. The George Foreman range of outdoor/indoor grills is a formidable name to reckon with in its market segment. The product in review can safely be called a classic in their entire range of indoor/outdoor grills. This review on the George Foreman Outdoor Grill which can also be used indoors is intended to present the product’s best features, its drawbacks and how it has an edge over its competitors. Non-sticky coating: Well we are not talking of just any non-sticky coating here. It’s the “George Tough” non-sticky coating that we are talking about. This truly tough non-sticky surface will make you want to use it again and again. It eliminates by and large the need to grease your food with butter, fats and oil which paves the way for an easy, fast and truly pleasing cleaning experience. The plate has to be cleaned with a damp cloth and it’s ready for use again. How much more simpler can it get! Fifteen (15) servings: A big gathering of friends and family will excite and relax you and not worry you if you are the proud owner of the George Foreman Outdoor Grill electric grill. Treating your guests to a hearty meal is going to be an easy-peasy task with this grill. Unique slope surface: The name says it all – the sloped surface considered unique to the George Foreman range of electric grills allows the fat to trickle down into a drip tray. “Lose the fat not the taste” has been the USP (unique selling proposition) of the George Foreman range of grills. Your grilled delicacies can be savored guilt free by your near and dear as health foods which taste great. That the drip tray is dishwasher safe is an additional happy grilling feature. 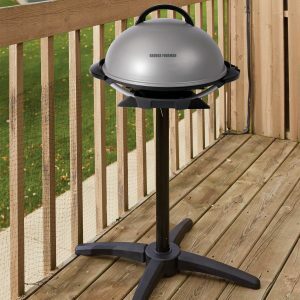 Detachable stand: The electric grill is designed to slide on and off the sturdy stand provided. Hence the product can be moved or shifted easily from your patio, garden, balcony or even conveniently placed on your kitchen countertop. This feature also makes the George Foreman Outdoor Grill electric grill an easy and convenient option to take along with you for picnics and other travels. Variable temperature control: The grill comes with a plug-in facility with an adequate length of power cord. It has a simple dial feature with five temperature settings which help you to regulate and adjust the heat of your grill. This feature is a big plus for all you grilled food lovers because it enables you to enjoy great results with any variety of food. 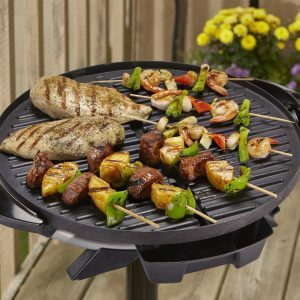 Great taste is all about cooking with precision and the George Foreman Outdoor Grill is designed to help you grill a variety of foods, hors d’oeuvres or main course, kebabs, chicken, appetizers, burgers and even desserts with perfection. So get ready to dazzle and entertain your guests and family with a hearty and lip-smacking meal aided by the electric outdoor grill in review. Apartment approval: Now this product has all the necessary approvals and clearances. This is the ideal product designed to give you a completely fuss free food grilling experience without any heavy smoke and flare-ups. No more hassles of stocking up on propane or charcoal. 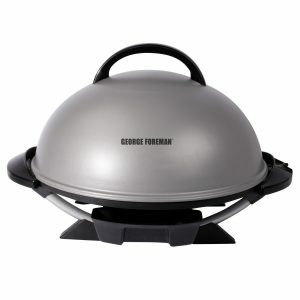 The George Foreman Outdoor Grill will make your BBQs all the more fun and worry free experience. All these features make cooking with the George Foreman Outdoor Grill an excellent and happy experience. No product is completely perfect and suitable for everyone. The George Foreman Outdoor Grill electric grill is nearly perfect and a great buy, but the product in review has its minor negative points or drawbacks. There have been a few complaints about the durability of the product. There have been instances where customers have complained about the product falling down and the users ending up with broken parts. The sloping dome cover can be a setback because it just hangs off the plate. There should be a provision to handle the lid when food is being checked and turned over. It would be an additional help if this product had a small vent hole on its cover. The product requires assembly and has got mixed reviews on the quality of materials used in the product and instruction manual which is not up to the mark. Assembling of the product may take longer than usual. The drawbacks are few and negligible if you weigh the odds against wonderful experiences that this electric outdoor grill has to offer you. The drawbacks may be overlooked when you keep the advantages that this grill offers you when compared to the other grills that the market has to offer in this segment. The health angle: There has been a growing awareness about healthy, fat free food options in the past two decades. The George Foreman Outdoor Grill is marketed as a grill with a healthy twist. The product grills food without any added butter, oil or fat. This grill also squeezes out the melted fat surrounding the meat, sausage, bacon or other foods that are grilled. This drastically cuts down on the general overall calorie intake and also reduces the level of saturated fats consumed by allowing the grease to drain down into a drip tray. Then-stick coating which this product has is far superior to its competitors. The taste angle: The outdoor grill in review is considered better than other market players in this segment because of its superior quality heating surface. Its unique technology enables uniform grilling of food. Unlike several other grill appliances which leave charred marks on the food with some being overcooked and others being under cooked, this electric outdoor grill browns the food uniformly, be it meat, sausages, bacon, burgers or even vegetables. This keeps the food crispy on the outside and juicy and moist on the inside. 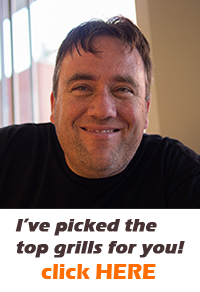 The product in review has a simple but effective temperature control than several other grill appliances in the market that makes for a smooth fuss free food grill experience. The convenience angle: The George Foreman Outdoor Grill is far more convenient, safe and efficient than the charcoal or gas grill options available in the market. This grill can be used in places where charcoal or gas grills are not allowed. The George Foreman Outdoor Grill is an electric grill. Few traditionalists may turn up their noses on this modern grill. But, this product provides you with a hands-on and smooth experience as compared to the other traditional grills. The food is seared perfectly when compared to the foods grilled with the other options available in the market. The George Foreman Outdoor Grill is a very popular appliance because of all its pragmatic features. This outdoor electric grill is always voted one among the best grill appliances in the market. Its introduction and popularity in the market lead to an array of electric grills introduced in the market. But these products are nowhere near as popular and as reliable as the George Foreman outdoor Grill. It is therefore safe to say that this product has great advantages which definitely give it an edge over its competitors. 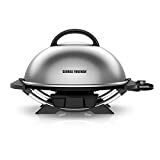 All the above mentioned merits go to show that the George Foreman Outdoor Grill is better than other conventional models available in the market. This product is best suited for large gatherings, outdoor picnic parties and travel. This is one of the best products to have if you wish to feed your guests with healthy, hearty and tasty meals. So, go ahead and choose the George Foreman Outdoor Grill for a joyful and memorable cooking experience.